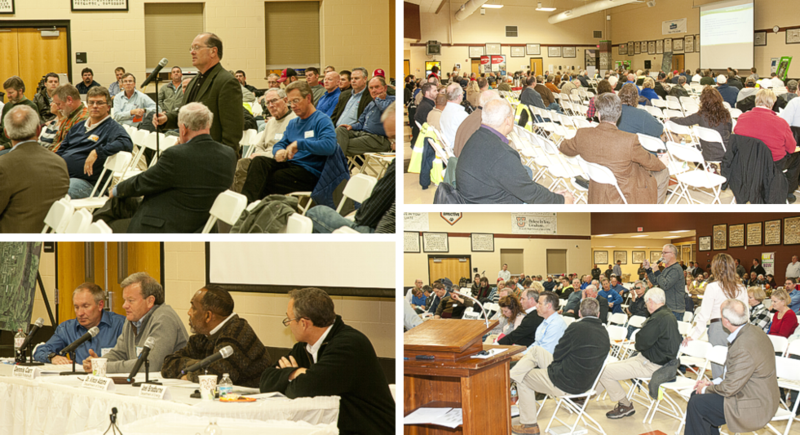 More than 150 plant neighbors, community leaders, workers and other interested people participated in a public meeting November 17, 2014 to hear from the U.S. Department of Energy (DOE) and Fluor-B&W Portsmouth LLC, about options for future cleanup of the site. Members of the public also gave formal public comments on proposed plans that were agreed to by DOE and the Ohio Environmental Protection Agency (Ohio EPA). The public comment period commenced on November 12, 2014 and will remain open through March 11, 2015. The plans will determine future D&D of more than 200 buildings at the site that are no longer in use, along with waste disposition options assuming the buildings are demolished. Click here to see slides from the meeting. Click here to read the public meeting transcript.